Last week I took a week off from TT due to migraines and internet troubles, but don’t worry I’m back and with a set that I think is probably my most ambitious yet. 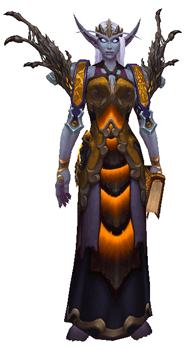 I said I wasn’t doing these by a theme and yet here I am making another set based around shoulders /facepalm. 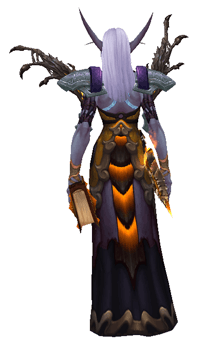 The mythic item dropped when we were doing a transmog run and I knew I had to make my priest set based around them – they’re just perfect for a spooky seraph October set! 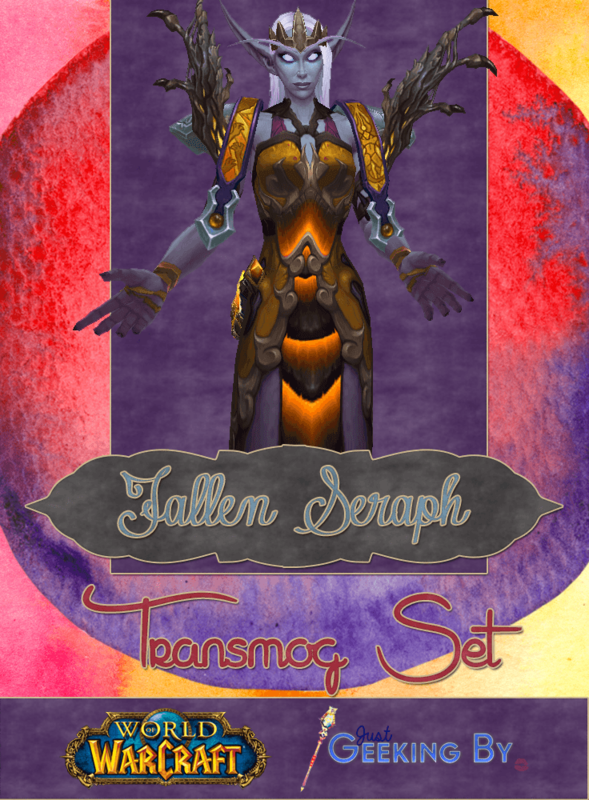 The result is the Fallen Seraph set which is like nothing I’ve made before and it’s really out there for me. A bold statement piece in the form of item takes centre stage alongside those gorgeous shoulders with a simple head piece, gloves and belt to accompany them. 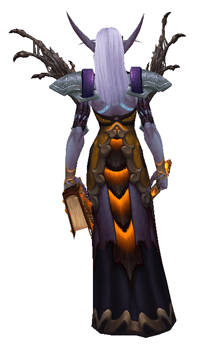 There is no belt or back with this one because the details of this robe are stunning (check out the back details below!) and covering them up would be sacrilege. The only thing I’m not happy with is the weapons. 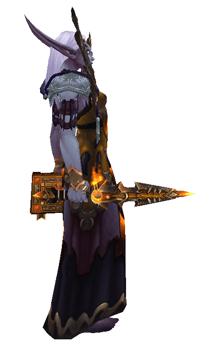 The weapons are always the last part of a transmog set for me (it would be interesting to do it the other way around sometime) and I made this stunning set and then struggled to find appropriate weapons. 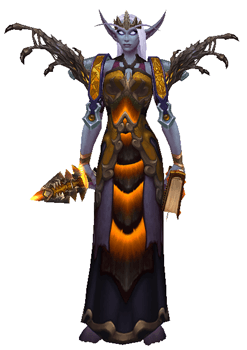 I get the feeling that this set will be like Marmite; you’ll either love it or hate it. Which are you? Do you prefer bold sets like this? 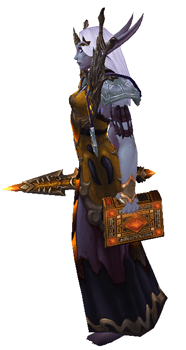 Or do you go for a more of a subtler look in your transmogs? Image Credits: Textures by shizoo-design.